They always say a picture speaks a thousand words and once again here's proof.It's is amazing to me what this woman has intentionally done to herself over the last two decades. I read a story this morning stating that" Tanning Mom" Patricia Krentcil may sue the makers of her action figure called "Tanorexic" because she thinks it doesn't look like her. 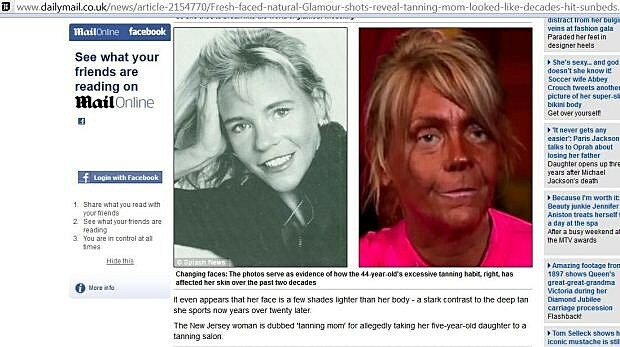 My thought was, she should sue the tanning place instead. The Daily Mail has modeling photos of her from back in the day when she was (I think) kinda hot. The moral to this story is quit tanning and wear sunblock. I'm just sayin.